Northfield High School has had one incredible Winter activities season! 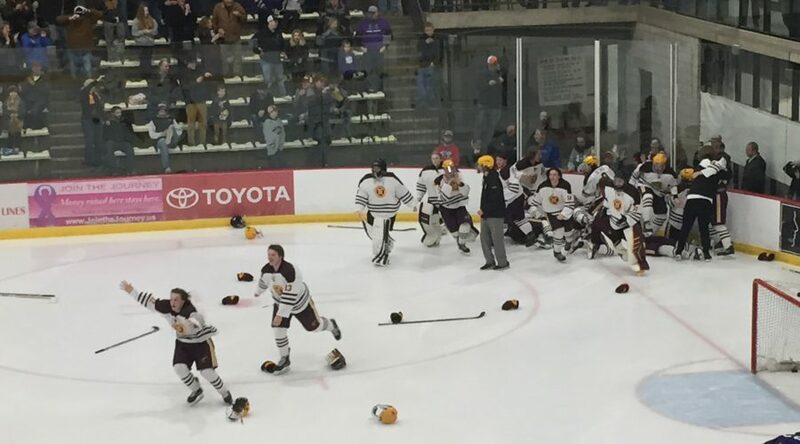 The Raiders girls hockey team placed fourth at the Minnesota State High School League (MSHSL) state tournament and, probably more importantly, won the Section 1A Academic Championship! The Raiders boys hockey team advanced to the MSHSL state tournament with a thrilling 3-2 double overtime victory over Red Wing this week. This is the Raiders first ever appearance in the state boys hockey tournament! The Raiders boys swim team advanced to the MSHSL state tournament as well. The Raiders girls basketball team was ranked No. 1 in Class AAA earlier this season and advanced to the Section 1AAA semifinals with a victory over Austin earlier this week. And…the much anticipated Rock n’ Roll Revival opens tonight. Nearly all of six performances are sold out, but I understand a few single tickets still remain. This production’s theme is R-O-C-K in the USA. Rock n’ Roll Revival is one of those events that makes our community so special. This complete student performance involves many aspects of our fine arts programs and is truly a joy to watch. A few years ago, my family met Minnesota Senator Al Franken in Washington, D.C. Upon learning we were from Northfield, he said “you have that wonderful Rock n’ Roll Revival!” I hope you can enjoy it too! This describes just a small slice of the activities available to students at Northfield High School. Extra and co-curricular activities provide fantastic, authentic learning opportunities for students that cannot be taught within the traditional classroom environment. Congratulations to our student-athletes and performers on a memorable Winter 2017…with more potential accolades to come!